Barnaby Gaitlin has been in trouble ever since adolescence. He had this habit of breaking into other people's houses. It wasn't the big loot he was after, like his teenage cohorts. It was just that he liked to read other people's mail, pore over their family photo albums, and appropriate a few of their precious mementos. But for eleven years now, he's been working steadily for Rent-a-Back, renting his back to old folks and shut-ins who can't move their own porch furniture or bring the Christmas tree down from the attic. At last, his life seems to be on an even keel. Still, the Gaitlins (of "old" Baltimore) cannot forget the price they paid for buying off Barnaby's former victims. And his ex-wife would just as soon he didn't show up ever to visit their little girl, Opal. Even the nice, steady woman (his guardian angel?) who seems to have designs on him doesn't fully trust him, it develops, when the chips are down, and it looks as though his world may fall apart again. 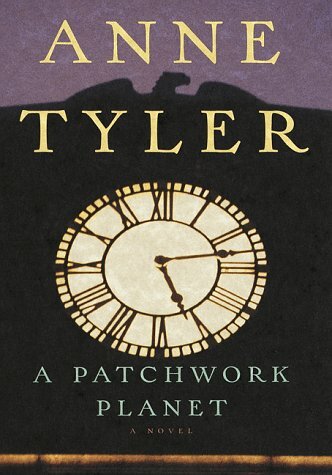 There is no one like Anne Tyler, with her sharp, funny, tender perceptions about how human beings navigate on a puzzling planet, and she keeps us enthralled from start to finish in this delicious new novel.